It’s far too easy to get caught in consumerism this time of year. Sometimes I feel like we buy people gifts out of obligation and some hungry wastefulness we don’t quite understand. I am trying to develop a gift philosophy that only gifts for children should have a temporal element. By this I mean I want to give gifts that will be in use 10 years from now. I want to give people upgraded versions (durability and UX) of things they already love and game changer presents that make life better. Talk about a tall order. This is a great example of an upgraded durable version of something people throw away quite often. My husband is a big craft beer nerd so its rare that we are buying 6 of the same beer. 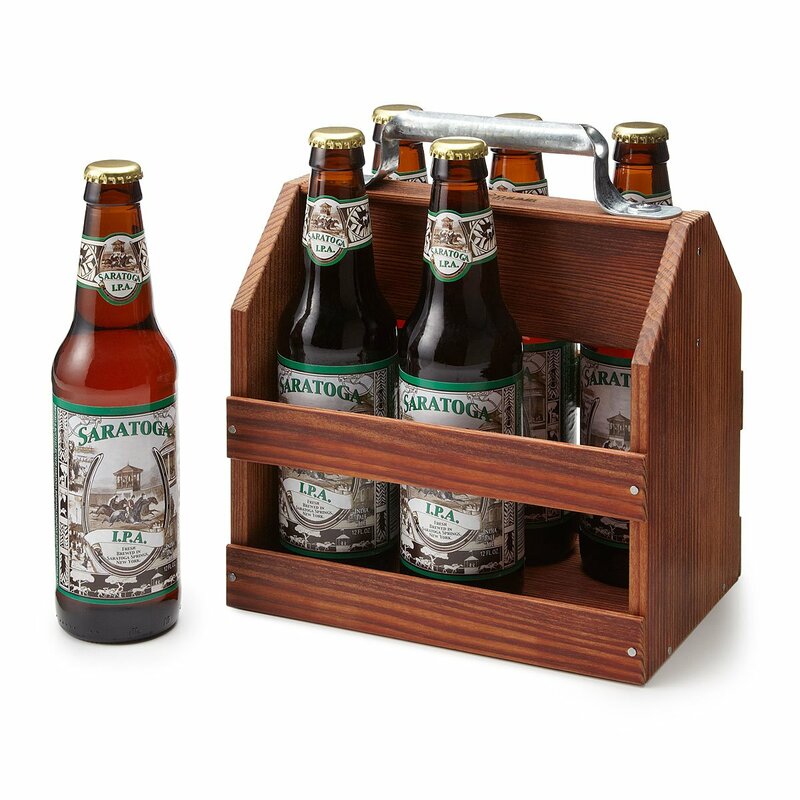 With this we can stack our own six pack and throw in some fancy soda for me. It seems to me this baby provides a lot more protection and looks a lot better. The design looks simply enough to be DIY’d as well for those that can (which WILL be me soon). Cute, Useful and not something someone would think to get for themselves. 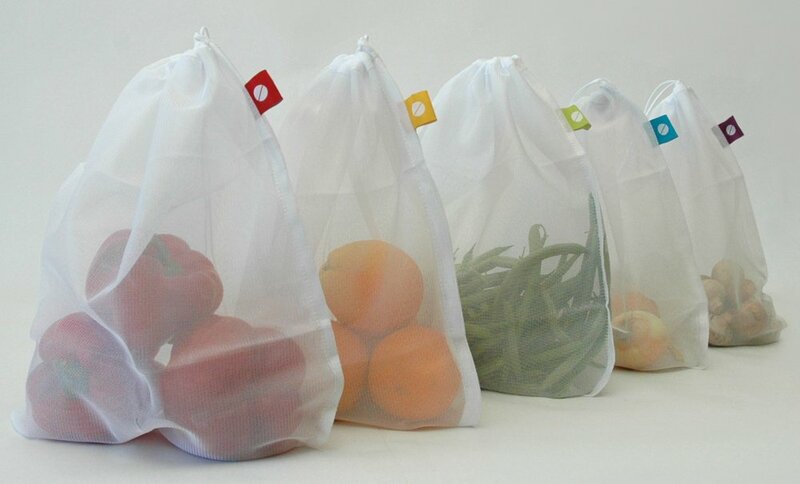 These produce bags can eliminate a ridiculous amount of plastic waste when used by just one family. They are also kind of adorable. You can add them inside a market tote or even fill them with a voucher for a local farm delivery service. To be honest though on their own they are so multi-purpose anyone would be happy to receive. These last two I couldn’t find good pictures for so forgive the wall of text about to come your way. Cars are extremely durable goods on their own already. While we cannot always afford to gift someone a new more sustainable vehicle (not to mention the potential waste if their current vehicle languishes). There *is* something you can do make their current ride a the best it can be. Automatic is a device/app combination that is a kitchen sink suite of driving aids. The biggest benefit is that it can analyze the way you drive and help you make small adjustments that will help you eke out as many miles per gallon as possible. It can also let you know why your “check engine” light is on without a trip to the mechanic. It even remembers where you have parked! Lastly for music lovers. Don’t buy them a CD. Unless you are an audiophile yourself I would hesitate to get them gear. What I do know goes over like special sauce on a double double is a gift card. Itunes, Googleplay, Amazon MP3. Take your pick and give give give. Yes music ages but good music is timeless and I personally do not have anywhere near a large enough bank account to support my habits.